Anyone of you ever heard of feedreader? Do you use it? Or anyone around you using it? Do you think its necessary for you? Now I'm gonna share how feedreader works and how will it benefit you especially if you are following many blogs like I do. Firstly, there are many feedreader software out there but which one suit you more? Well there are RssReader, Feedreader3 and Mozilla Thunderbird. In this post, I will demonstrate how feedreader works using Mozilla Thunderbird. Firstly take as an example, I believe you always the word "RSS feed" on many websites. Secondly on every blogspot, you will see Posts (Atom) at the bottom page. Have you ever wonder what does it for? Let say if you want to follow a wordpress blog, how? The address will be as follow. Thirdly if you like me where MalaysiaKini is one of your source of latest news happening in Malaysia? Wouldn't it be troublesome if you have to refresh the webpage every second for latest news? How about if they will automatically update you when latest news posted? Be the first to know the latest price of petrol in Malaysia? Now I'm gonna show how thunderbird works as a feedreader. 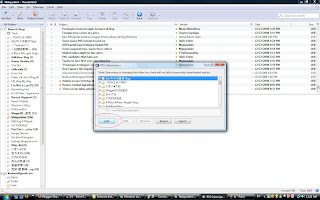 Basically you will have to collect all the respective websites RSS url, then add into thunderbird. 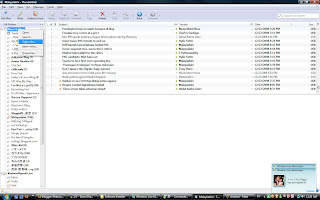 Following the images shown, you have already add one RSS feed into the thunderbird. 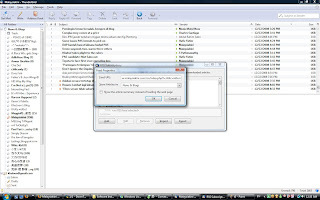 Repeat the steps till you finish adding all the RSS feeds. This is very beneficial for those who following many blogs because you can always ask the software to automatically check all the feed for latest updates within the time frame set. As an example, once in 5 minutes? I'm following at a minimum of 34 blogs/news now and the numbers may increase throughout the years. And if you have many blogs to follow up, feedreader maybe the "thing" you looking for. Since I study IT so i know about this function..
but I never use it.. It's such a nice thing that u share this wif ur fellow frens.. It's useful when it comes to tracking a news site, or a blog with non-consistent update time. Good for tracking a friend's blog. I think this post is good for many around us. Many don't know what is RSS or Atom feeds, and do not take the initiative to know them, despite always seeing them in blogs and news sites. As usual, good reply from Kenji. Just drop by to wish you a merry Xmas!